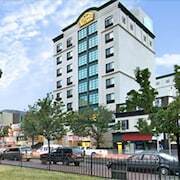 Situated near the airport in Flushing, this hotel is close to Citi Field and Adelphi University. Nearby attractions also included St. John's University. 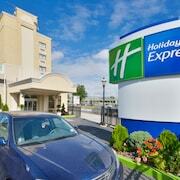 Which hotels are closest to the Flushing airport? 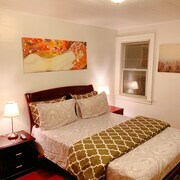 Can you find accommodation in popular areas of Flushing? 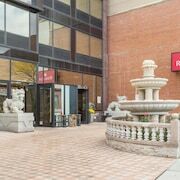 Where to stay near top Flushing attractions? What kind of hotels are in Flushing? 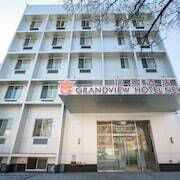 Which hotel chains are in Flushing? 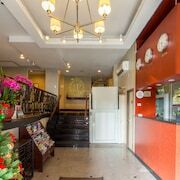 Families will find kid-friendly activities in Flushing, and visitors give high marks for the top-notch restaurants, shopping, and Chinatown. This city also attracts tourists with its live music, festivals, and sporting events. 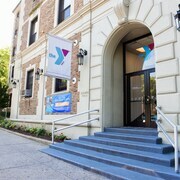 Top sights around the area include Floating Pool, Bronx Zoo, and Bloomingdale's. The city is well known for its live music and festivals, and cultural venues include John Bowne House, Kingsland Homestead, and Queens Historical Society. The city is notable for its Chinatown and landmarks like Free Synagogue of Flushing and Unisphere. A couple of additional sights to add to your agenda are Queens Botanical Garden and Adelphi University. 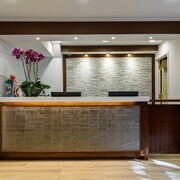 Hyatt Place Flushing/LaGuardia Airport - Guests who stay at this 3-star hotel in Flushing Chinatown can enjoy access to free breakfast and an indoor pool, along with free WiFi. 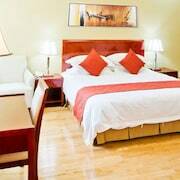 It's a favorite with Expedia travelers for its helpful staff and proximity to the airport. 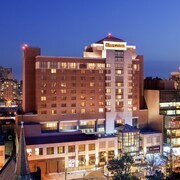 Fairfield Inn by Marriott LaGuardia Airport/Flushing - Our customers like the breakfast and quiet location at this hotel. 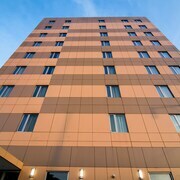 Guests who stay at this 2.5-star hotel in Queens can enjoy access to free breakfast and free parking, along with free WiFi. 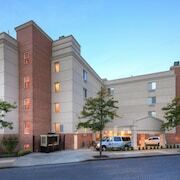 Marco LaGuardia Hotel - This 3.5-star hotel in Queens features a restaurant, free WiFi, and a 24-hour fitness center. 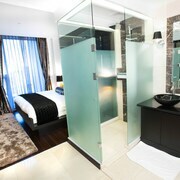 Expedia customers like its helpful staff and clean, comfortable rooms. Top places to visit around the area include Floating Pool, located 5 mi (8 from the heart of the city, and Bronx Zoo, which is 6.9 mi (11.1 away. If you want to journey outside of the city, hop aboard a train from Flushing Main St. Station, Flushing Murray Hill Station, or Flushing Broadway Station. Flushing might not have as many public transit choices so consider a car rental to maximize your time. 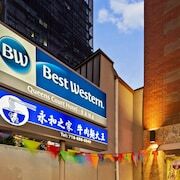 What are the most popular hotels in Flushing? 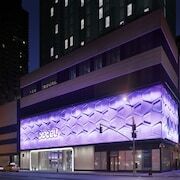 Are there hotels in cities near Flushing? 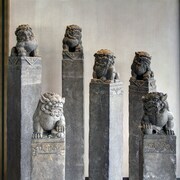 Explore Flushing with Expedia.com.au’s Travel Guides to find the best flights, cars, holiday packages and more!